If you haven’t already noticed Mozza is the latest restaurant to open up in Union Square, Aberdeen. Mozza is run by Tony Macaroni and already had restaurants in Glasgow, St Andrew and Dundee. 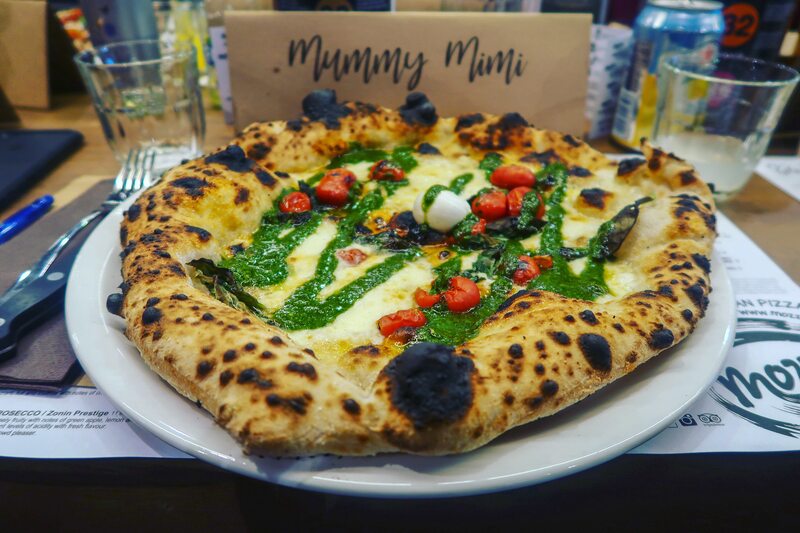 When I was invited along to the pizza masterclass I had to make sure I could be there! There is nothing more I love food wise than pizza! Area manager Riccardo gave us an introduction to the story behind Mozza and the authentic Nepalese pizza they make. 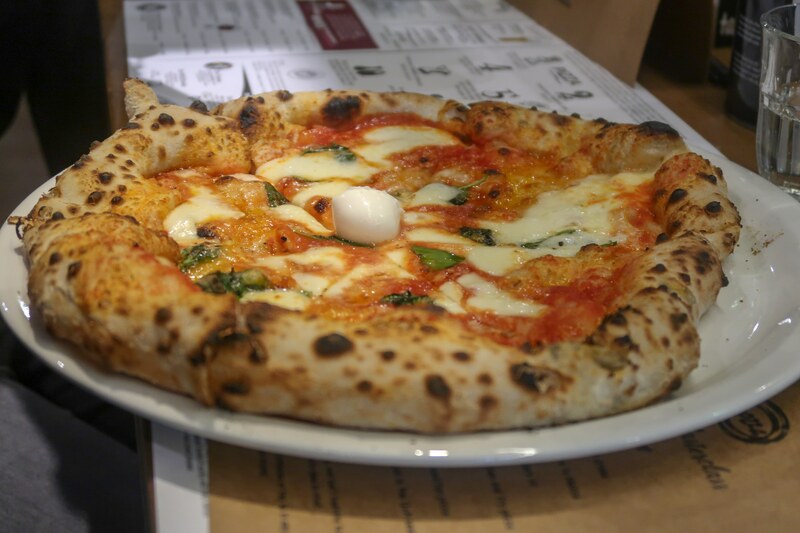 He explained how the style of pizza stands out from most as it is a much lighter, doughy base and is cooked in a way passed down through generations in Naples region in Italy. Riccardo then took a group of us through to the kitchen where he explained the process of how the sour dough is proved for 72 hours before use to provide a lighter, tastier dough. 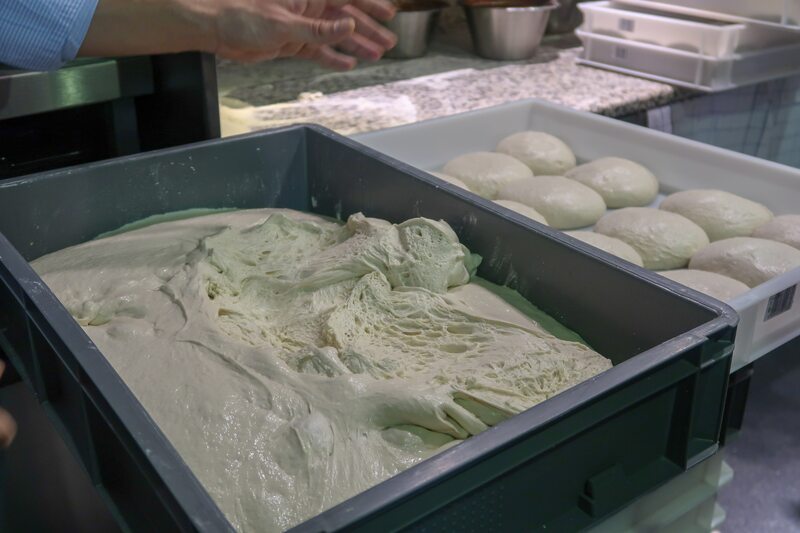 As the pizza chef was preparing the pizza Riccardo explained how the dough is only kneaded and shaped by hand. 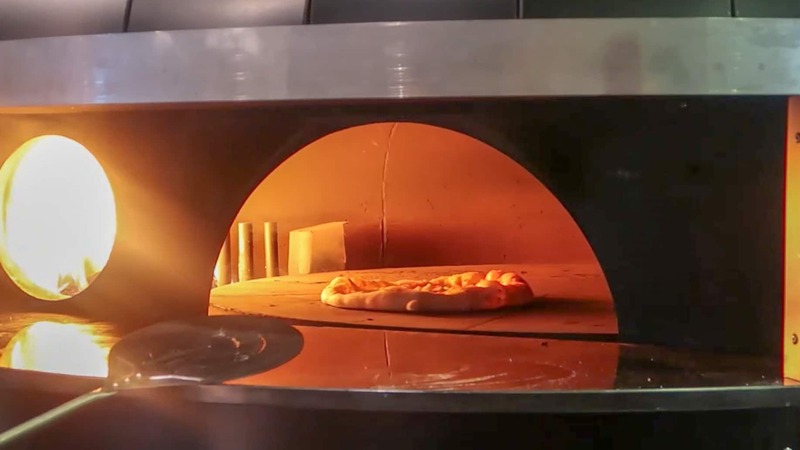 The pizza was then placed into the oven rotating around the bottom for 60 seconds before being lifted up to the ‘sky’ to be smoked for 30 second. Once the pizza was cooked we got to try a slice of the finished product – which just made us even more excited for our own pizzas to arrive! With 13 different pizzas to choose from there is plenty to choose from. 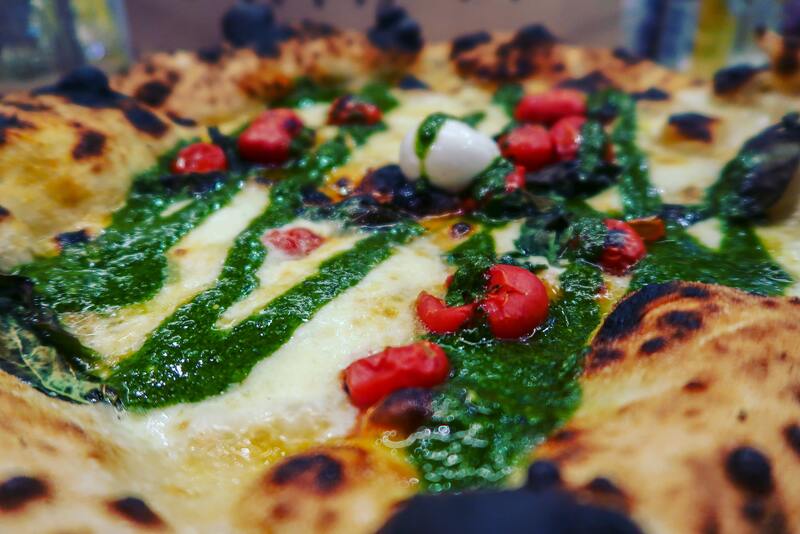 I opted to try out number 4 which was topped with red peppers, mozzarella, pesto, basil & olive oil and boy was it a good choice! Pizza number 13 is a Lucky 13 Mozza Dare, which is when you place your trust in the chef’s creativity and try a mystery surprise pizza. 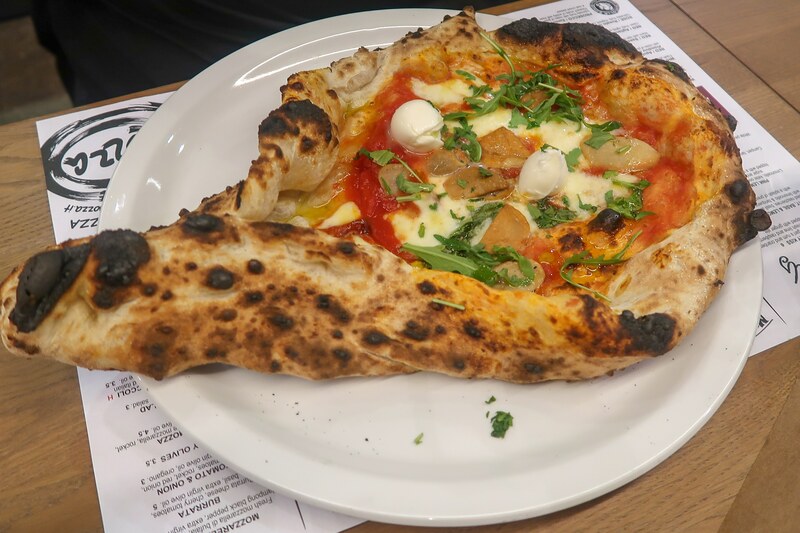 If your someone who will eat anything and can’t choose between the pizza’s on the menu this is a great choice and you’ll get whatever the chef decides to make that day. 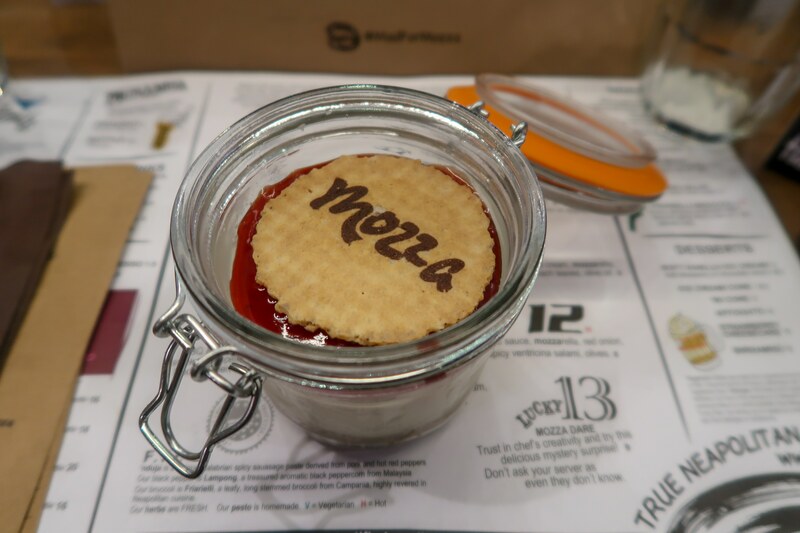 Next up was dessert – I opted for the strawberry cheese cake which came in a cute little jar with a Mozza wafer on the top. It was rich, creamy and exactly how a cheesecake should be… can you tell I love cheesecake! A number of the other bloggers, tried the Birramisu which also seemed to be a hit with everyone that tasted it. 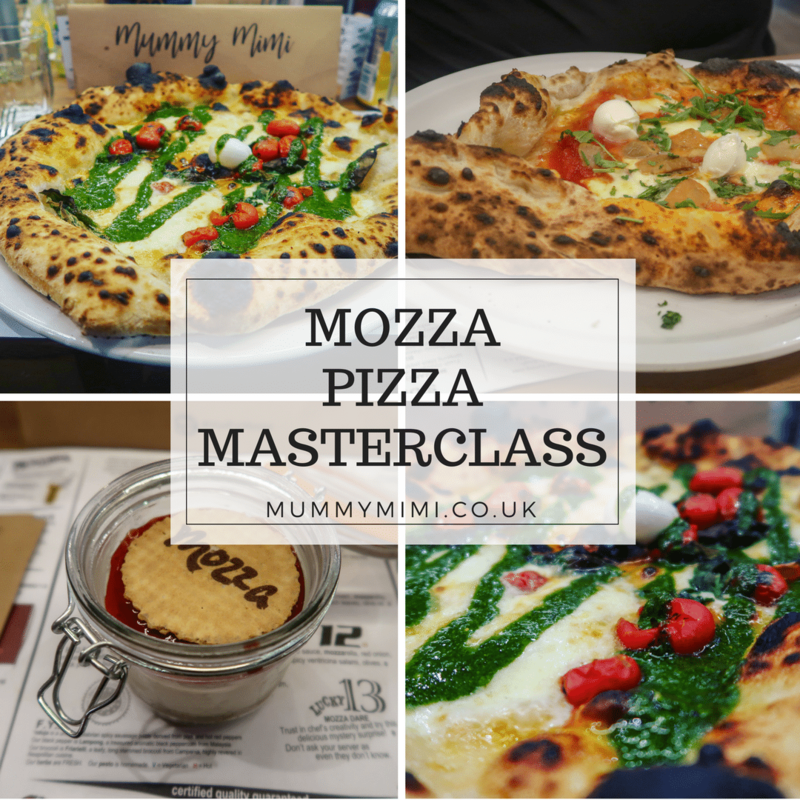 I had a fab evening at Mozza learning about pizza making, tasting pizza and meeting some new faces as well as catching up with others. 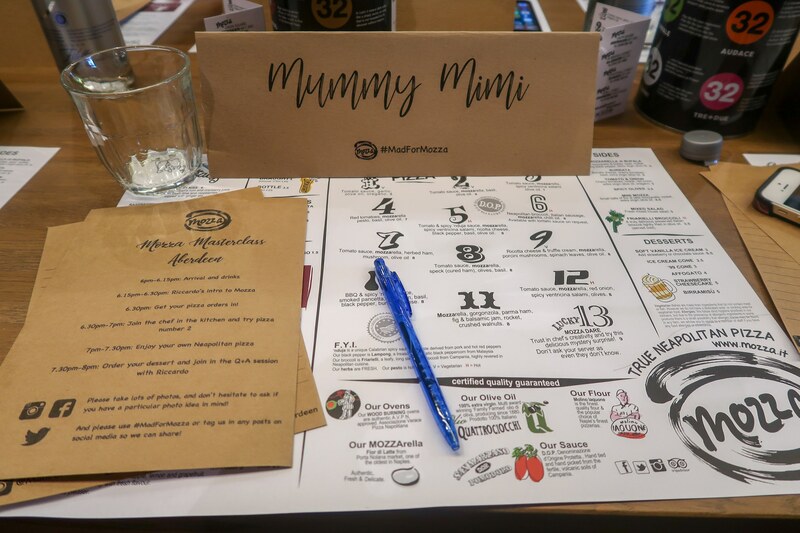 I’d like to thank Steph and Riccardo at Mozza for organising such a fab evening and for the gifts of a Mozza gold card & Prosecco! I can’t wait to visit again!